This article is aimed at our customers who are based outside of New Zealand and the questions we tend to get asked by them. Is it worth skiing in New Zealand? We get asked this question frequently and understandably so. There are several differences to appreciate before we can answer this which we’ll go into detail about below. 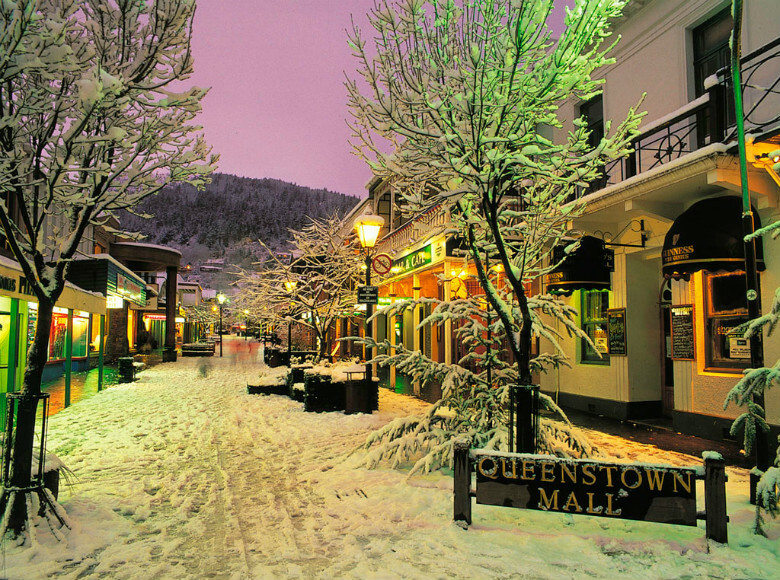 The Australians certainly like skiing in New Zealand, particularly Queenstown along with international guests we’ve organised ski trips for. For those of you further afield have a read below and you can make up your own mind or talk to us if you have other questions. Where to ski in New Zealand – where are the main ski-fields located? You have a few choices in the South Island but really only one in the North Island bar a small club field on Mt Taranaki. The biggest two ski fields in the country are in New Zealand located on Mt Doom as depicted in Peter Jackson’s on screen adaption of Lord of the Rings, or better known as Mt Ruapehu (along with Mt Ngauruhoe). The two ski-fields here are Turoa on the Southern side and Whakapapa on the North Western side of Mt Ruapehu which is located in the Tongariro National Park – incidentally a World Heritage site and home to arguably New Zealand’s best one day walk, the Tongariro Alpine Crossing. As of June 1, 2019, Whakapapa will open it’s Gondola for the ski season and be the only ski field in New Zealand with this type of lift facility. The gondola will operate year round and terminates at the award winning Knoll Ridge Cafe. As for the South Island the choices are more numerous but tend to focus on two key areas; The Central Otago region encompassing key ski-fields such as Coronet Peak, The Remarkables, Cardrona and Treble Cone along with the Canterbury region with its mix of commercial fields, Mt Hutt, Porters etc. and club fields like Craigieburn & Temple Basin etc. Generally speaking the South Island fields usually have better weather overall and the snow tends to be slightly drier due to its more southerly latitude. 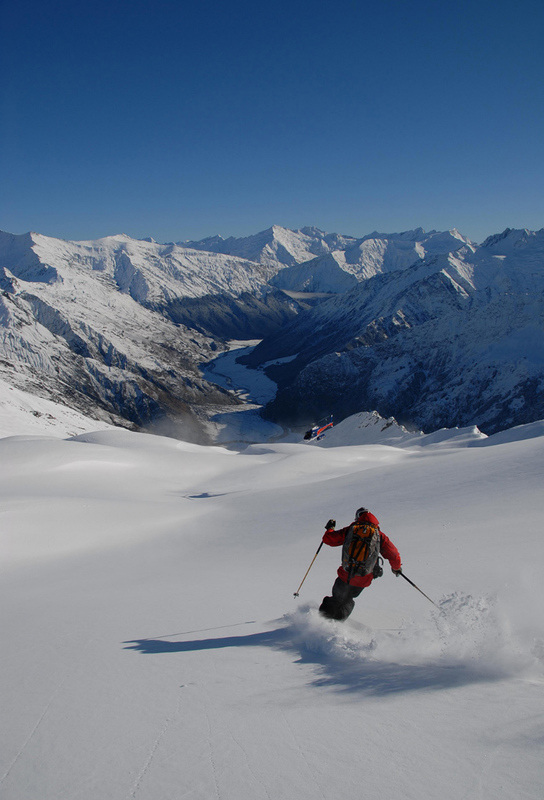 For a full list of New Zealand Commercial and Club ski fields in New Zealand please visit our Skiing in New Zealand page. Where are the best locations to stay for skiing in New Zealand and how far are they from Auckland? Again centering around the three main areas mentioned above your choices are Queenstown and Wanaka for the Central Otago region. Methven and the Christchurch area are the best places to stay for skiing in the Canterbury region. National Park, Ohakune and to a lesser extent Taupo (due to distance but making up for that with some excellent luxury accommodation choices) are the best accommodation destinations for skiing Mt Ruapehu in the North Island. Queenstown and Wanaka are a 1hr & 50 min flight from Auckland with Christchurch slightly closer at 1hr 20 mins. Taupo is a 3.5hr drive from Auckland and National Park/Ohakune between 4 – 4.5 hours. You can alternatively fly directly to Taupo or Rotorua in around 40 mins. Is the skiing in New Zealand, ski in – ski out like in some parts of North America & Europe? This is a question we get asked a fair amount. Unlike North America and Europe there are no ski resorts in New Zealand that you can ski out the door from – its a case of taking a transfer or self driving to the field which usually takes anywhere from 15 mins to 1 hour depending on how close you are staying. The only exception to this are a few club skifields offering accommodation which you usually have to be a member of, or at least know someone in order to stay. Whats the snow like in New Zealand? New Zealand’s climate can generally be described as temperate, thus snow rarely falls to sea level and when it does it will usually only settles for a day or two at most. As NZ lacks significant land mass the snow can be heavier/wetter than countries with large continental land masses favouring drier snow. This is not always the case as we do receive dry cold conditions and subsequently dry snow but not as consistently as ski areas in Europe and North America. What is the average snowfall at ski resorts in New Zealand? This varies greatly but generally the North Island receives the greatest amount, mostly due to the fact of being a lone series of mountains smack in the middle of the Central Plateau – they attract a lot of weather! As an approximate guide Ruapehu receives 2.4 mtrs (8 feet) and in the South island the figure is closer to 2 mtrs in total. The main difference being you only need 10+ centimetres (4 inches) to start skiing on the South Islands predominately tussock covered fields whereas Ruapehu is strewn with large volcanic rocks and ideally needs 1mtr of snow before its safe to unleash your brand you carvers or board on its slopes. For further information on ski conditions and facilities New Zealand’s metservice website is a great source of information, covering off snow and general weather conditions. Can I hire ski/snowboard equipment in New Zealand? Yes you don’t need to bring your own gear or at least skis anyway which can be a hassle to travel with. You’ll find excellent ski/snowboard equipment and hire in all of the major ski towns and commercial ski fields in New Zealand. I’m a beginner – I want to take ski lessons? As for ski/snowboard lessons and beginner facilities, all of the commercial ski fields offer these services and even some of the club fields. However we wouldn’t recommend experiencing your first day skiing on a true club field unless you’re feeling brave. In saying that many of the club fields have updated equipment and are are more user friendly for beginners. You can purchase a package that includes lift passes, ski equipment and lessons for a set amount of days. 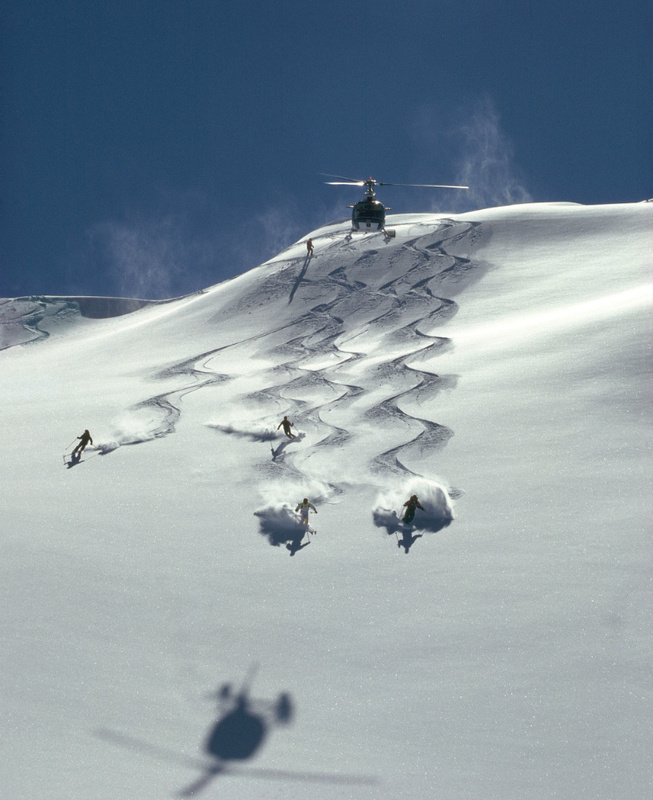 What about Heli-skiing in New Zealand? Again a common question and a service we provide on a regular basis during the season. This is something you can do in the South Island of New Zealand primarily around Wanaka and parts of Canterbury. The advantages are no queues, virgin powder, higher altitudes and longer runs… disadvantages? We can’t think of any! We suggest you read our dedicated Heli-skiing in New Zealand page for further information about locations, indicative pricing and seasons or alternatively contact us. Should I consider club ski fields or stick with Commercial fields? This question doesn’t come up that often as most of our clients opt for commercial fields. Usually for reasons of maximising time spent skiing, length of runs and proximity to highly desirable locations complete with accommodation, but it’s worth answering anyway. As previously noted the benefits of a commercial field are the superior facilities and not just limited to lift capacity and length but also, food & beverage, ski hire, access and sometimes location. That aside the down side of a commercial ski field is many more people and a completely different culture and ambience to that of a classic New Zealand club ski field. If you want to experience wide open spaces and can get past the dreaded ‘nutcracker’ or ‘tow grabber’ lift system then the club fields are worth a try. In saying this NZ’s club fields are always improving their uplift capabilities and many now have at least T-bars with some fields also having small chair lifts available. If it’s a powder day then you’re far more likely to lay some fresh tracks with less people around not to mention meeting some interesting New Zealand characters. If that sounds like you then we would recommend skiing a club field for at least a day if you’re close by. What is the duration of the ski season in New Zealand? New Zealand’s ski season starts sometimes as early as late May at Mt Hutt (consistently New Zealand’s first ski field to open) but generally Mid June at Turoa (slightly later at Whakapapa) and early July at most other South Island ski fields with closing dates somewhere around October, give or take. Some people have even been lucky enough to experience skiing on Mt Ruapehu at Christmas, however only during exceptional snowfall years! Don’t plan your trip around this though as its very rare. It is worth skiing in New Zealand? Yes! The skiing here is good, the country great (we’re probably a little bias) and the people warm and friendly, making it an ideal destination. If you’re ski junkie then even better – You can get your fix here while the weather is warm in the Northern hemisphere! Luxury Adventures – Tailoring luxury travel in New Zealand, Australia and the South Pacific Islands since 1999. Editor’s note: This blog was originally published in May 2012, and has been updated for accuracy, and currency. Recent clients successful fishing trip!